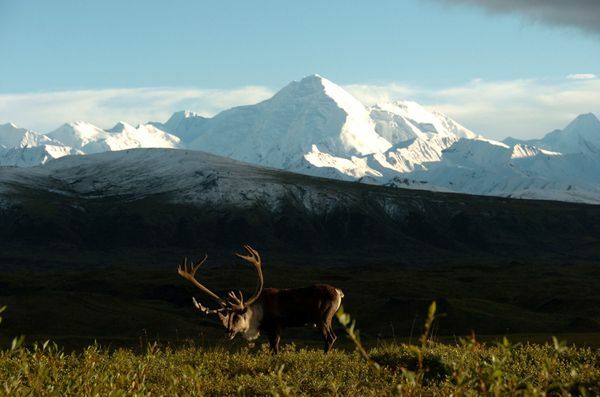 Raw and wild, Denali National Park and Preserve is home to North America's mightiest mountain and is a bucket-list trip for many travelers. It's also the most egalitarian park in the state, with options for every type of visitor. Whether you're an avid backpacker looking to forge new trails or a relaxed traveler content to watch for animals on a tour, you're sure to experience jaw-dropping scenery and realize why the Athabascans call the snowy peak at the park's center "The Great One." Located roughly four hours north of Anchorage and two hours south of Fairbanks on the George Parks Highway, it's an easy drive to the heart of the state — after all, there's only one road entrance to the park. Bus: One option is Alaska/Yukon Trails (907-888-5659), a passenger van company capable of transporting up to 16 passengers. They run from Anchorage to Talkeetna to Denali to Fairbanks, and also the same route in reverse. Expect to leave town early for either departure and to get in around lunch time. For a ride in a deluxe motorcoach, another option is Alaska Park Connection (855-588-7247). During peak summer months, they have twice-daily services between Anchorage or Seward and Denali. Train: Taking the train adds about three hours of travel time to your journey, but it goes through wilderness only accessible on the track (plus, there's a dining and bar car, as well as viewing-dome cars with sweeping views of the mountains and valleys along the way). The Park Service maintains the only road leading into the park. It's a 92-mile, mostly gravel route running parallel to the Alaska Range to what was once the mining community of Kantishna. From late May to early September, visitors can drive the first 14 miles of the road to Savage River, but to go further, you have to be on foot, bike or riding on one of the school-bus-style shuttles. You can hop on a cheaper, more flexible bus tour that allows you to get off and on and explore on your own, or you can take a narrated bus tour, with a driver who crafts an itinerary for you. There are also courtesy buses that serve the portion of Park Road that is publicly driveable, which includes stops at the sled dog kennel and Denali Visitor Center. 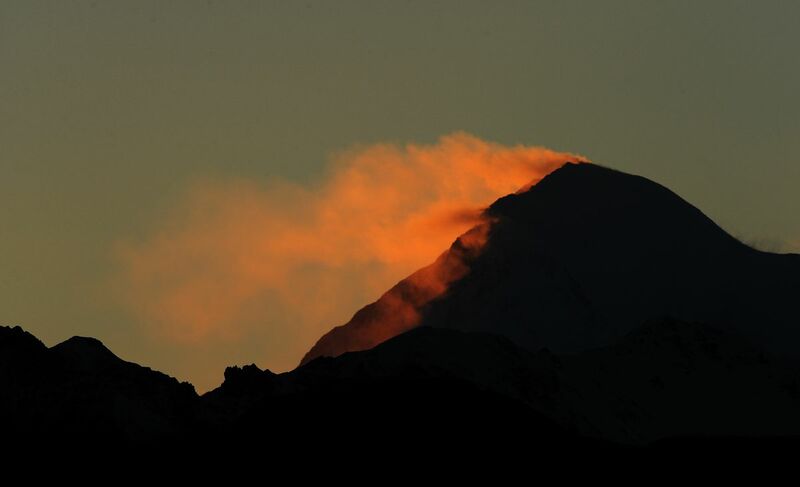 Standing at 20,320 feet (almost 4 miles tall), Denali can be seen from Anchorage to Fairbanks on a clear day. But clear days are sometimes hard to come by. National Park Service rangers stress to visitors that the mammoth mountain is only out one of every three days (a rule that isn't hard and fast — it can be out for days at a time and then hidden for a month straight). Even with its great height, the mountain isn't visible from the park entrance, the surrounding campgrounds or nearby hotels. Miles 9 and 11 are your first chances of spotting it, the latter spot having a pull-out and interpretive waysides with information about the cliff. There are myriad other spots along the road that allow for peeks of the peak, though the most iconic view of Denali is seen at Reflection Pond, near Mile 85. With 6 million acres, there's plenty of room to play in Denali. Here are just a few options. Denali National Park Visitors Center: If you come in by train, the Visitors Center is one of the first buildings you see. It's the main information center in the park, with exhibits on the park's history and the animals you might see in the boreal forest outside its doors. There are also various ranger-led activities and hikes that launch from there. Murie Science and Learning Center: A favorite of those traveling with children, this center promotes science and stewardship of the land. There are a number of hands-on exhibits and short courses designed for families with kids. Eielson Visitor Center: Located at Mile 66, you can reach this visitor center by shuttle. On a clear day, the views of Denali are stunning. Three maintained trails spider out from the center, though hikers are welcome to go off path. Inside the center is also a small art gallery with works depicting the wilderness of Denali. Wonder Lake: This where Ansel Adams' famous photograph of the mountain was taken. When Denali isn't shrouded in clouds, its image is mirrored in the water below, making Wonder Lake a favorite spot for photographers. There's also a good, established trail that leads to the McKinley River from here. Adventure sports and flightseeing: Various operators tout tours from their storefronts on Glitter Gulch, a half-mile stretch of road near the park entrance. Activities range from ATV rides and ziplining near the park to rafting down the Nenana River or flightseeing around the mountain. Shop around to find an itinerary that matches your interest and budget. There are six campgrounds in Denali National Park: Riley Creek (at the park entrance), Savage River (13 miles in), Sanctuary River (23 miles), Teklanika River (29 miles), Igloo Creek (35 miles) and Wonder Lake (85 miles). The sites have anywhere from seven to 53 tent-only campsites, with the exception of Riley Creek, which has 150 sites suitable for camping and RVs. Considering how few campsites there are in the park, we highly recommended you make a reservation ahead of time. For more information, go to reservedenali.com. 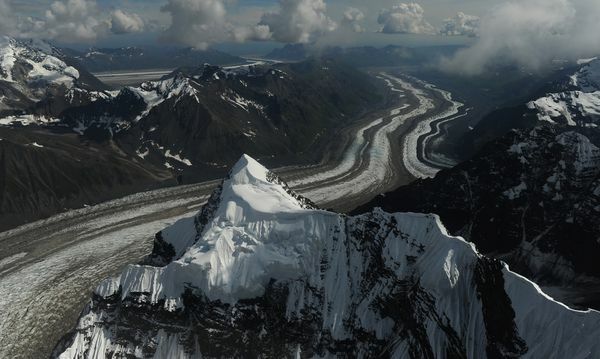 There are also many hotel, cabin, B&B and hostel options for visitors to Denali National Park. Many are clustered just outside the park entrance, a few are found at the end of the park road and more are located in neighboring towns. While remote, the accomodations at the end of the park road in Kantishna are far from roughing it. Places like Denali Backcountry Lodge, Kantishna Roadhouse and Camp Denali may be 92 miles into the national park, but they don't skimp on creature comforts like running water, electricity, heat and private bathrooms (granted, there's no Wi-Fi or cell reception). Generally much spendier than the options at the park entrance, these lodges are usually all-inclusive. Outside the park, your options vary widely. Denali Park Salmon Bake Restaurant and Cabins offers simple, affordable rooms with private bathrooms, as well as basic dry cabins; Crow's Nest is made up of terraced rows of cozy cabins tucked up on a hillside, offering exponentially better views of Mount Healy the higher you go; and Denali Princess Wilderness Lodge is one of the biggest lodging options with high-end amenities, including an espresso bar, a dinner theater and laundry services. More accommodation options can be found at denalichamber.com.